The immaculate interior design of this new style barn leaves you wanting for nothing. Modern fittings are perfectly balanced within the rustic beamed barn and Alpaca offers you a comfortable home from home with a wonderful level of comfort which will have you winding down instantly and enjoying the rural life. The cosy living area is complete with a modern fitted kitchen whilst giving outstanding valley views from the glass frontage. The bedroom meanwhile has a large shower en-suite and a fantastic level of comfort with all the practicality of an open plan ground floor setting, making it perfect for guests of all ages. From your outdoor living space you can watch over the local Alpaca herd! Relax outside or be more active with walks and cycling from the doorstep. You will find a good selection of local pubs and all the benefits of the county town of Dorchester just 10 minutes' drive away. A tranquil break at Alpaca would suit any type of couple looking for that romantic rural retreat in one of our holiday cottages in Dorset. Up to 2 well behaved pets are permitted at this property. A pet fee of £30 is applicable per week, per pet. There are three free range chickens at Alpaca Cottage, and the owners ask that guest's dogs are kept on leads in the grounds of Alpaca Cottage. Thank you very much for your wonderful review, we are delighted to hear that you both enjoyed your honeymoon at Alpaca. We hope to see you again in the future! 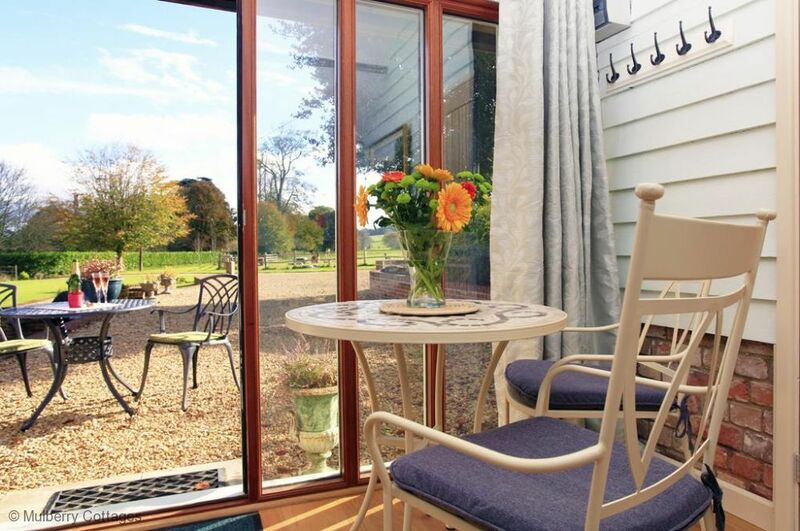 Alpaca cottage is a perfect cottage for two guests, well appointed with everything you need for a great stay, fantastic views from the cottage garden. Frampton is an ideal country retreat with good access to all the Jurassic coast activities. On arrival, hosts Paul and Fiona were helpful and made us feel very welcome, our dog George made instant friends with their two cocker spaniels, 'especially Guiness'. The information folder provided was exceptionally helpful with lost of walks, drives and places to eat etc. We would highly recommend Alpaca Cottage. Had a great stay at the Alpaca apartment. The hosts are incredibly friendly and made sure we were looked after the whole time. We also enjoyed feeding the alpacas! Cosy bedroom and modern bathroom. very nice indeed. beautiful cottage in a beautful location. A really lovely cottage , designed & decorated beautifully. absolutely stunning location with fantastic views .The Alpacas are great to watch & feed! will definitely like to go back there. Many thanks to the owners & to Jane for welcoming us . Frampton village is just moments away. Cyclists will love the Dorset lanes and the local countyside is a walkers haven.